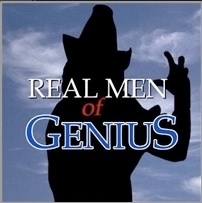 Bud Lite's Real Men of Genius campaign features this (IMHO) hysterical song, saluting "Mr. Company Computer Guy." Download the .mp3 by clicking here and see if you agree. The Computer & Technology Radio Show has a new home! wsRadio is the new home for the show that explores and explains the wonders of computers and all things digital, in plain English. The Computer & Technology Radio Show is presented by Marc Cohen and Marsh Collier in a webcast from the wsRadio website. The first show will be webcast live on Sunday, February 17, 2008 at 5PM PST. To hear the show, just go to www.wsradio.com and click the link to The Computer & Technology Radio Show. Every week Marc and Marsha provide listeners with a goldmine of information, tips, and solutions to problems. If you missed anything, or want more information Click here or on the link to the left, for Show Notes. If we miss something be sure to post a question at the Yahoo! Group. One way or another, we'll get you the answer. This is an unofficial website, not associated with nor endorsed by wsRadio.